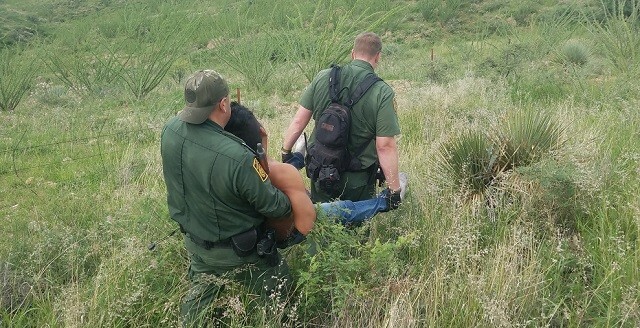 Border Patrol agents assigned to the Tucson Sector came upon a migrant who illegally crossed the border from Mexico. 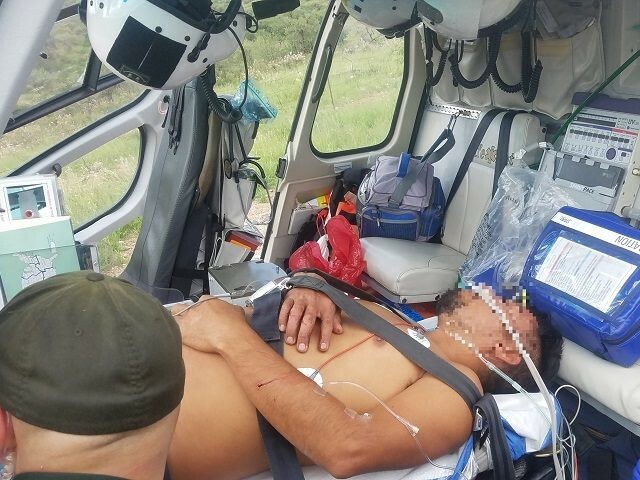 The agents found the man a couple of miles north of the border on Tuesday morning just south of Arivaca, Arizona, according to Tucson Sector Border Patrol officials. Tucson Sector officials told Breitbart Texas that the man was unconscious but did not appear to be suffering from trauma. The National Guard helicopter aircrew arrived on the scene but could not land because of the terrain. 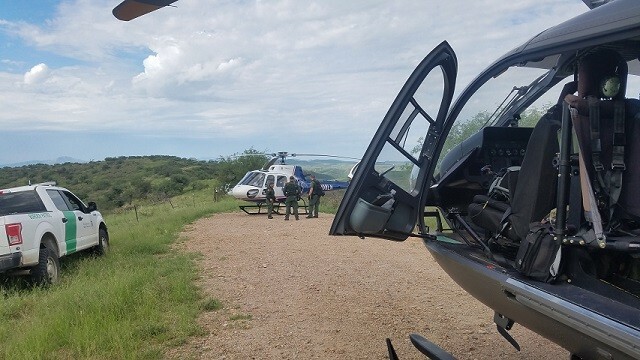 The aircrew dropped off a Border Patrol paramedic a short distance away and the paramedic hiked over to the migrant’s location. The agents carried the patient a few hundred yards using a blanket as a stretcher. However, the blanket gave out and tore apart, officials said. The agents then carried the migrant the rest of the way to the waiting air ambulance. The air ambulance transported the Mexican national to a local hospital for treatment and evaluation. Once the migrant recovered, Border Patrol agents took custody of the man and processed him for immigration violations, officials stated. The National Guard is providing helicopter support using aircraft like UH-72 Lakotas with advanced surveillance capabilities and UH-60 Blackhawks that are capable of transporting Border Patrol agents into the remote areas where they can quickly track down and arrest illegal immigrants in the rugged terrain. In a separate incident over the weekend, Sasa Grande Station agents participated in the rescue of eight illegal immigrants. The agents were also forced to rescue one of their fellow agents who fell victim to the heat, information provided to Breitbart Texas revealed. During a search for a group of migrants, a Casa Grande Station agent became ill from the heat in the desert. Temperatures that day hit approximately 105 degrees. A helicopter aircrew transported the stricken agent to a hospital where he was treated and released.